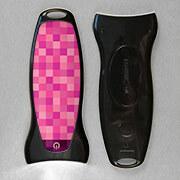 The SmashLight® Messenger™ is a flat flashlight with a magnetic back. 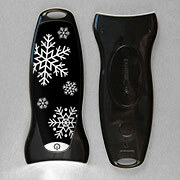 It has 2 replaceable Lithium batteries and 3 bright LED bulbs. 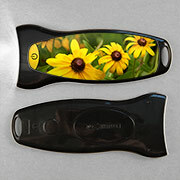 There is a large full color plastic inlay which can either have one of our stock printed designs, or your custom artwork. 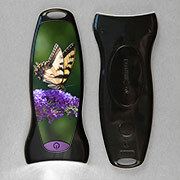 Size: 5" x 2" x .25"
SmashLight® Messenger™ Side View - Only .25" Thick! 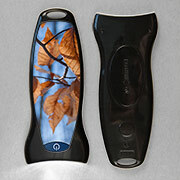 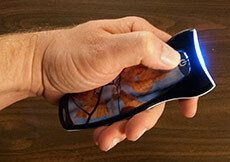 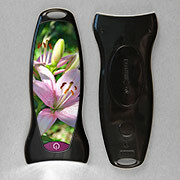 Mix and match label designs, or even flashlight models, to reach quantity discounts. 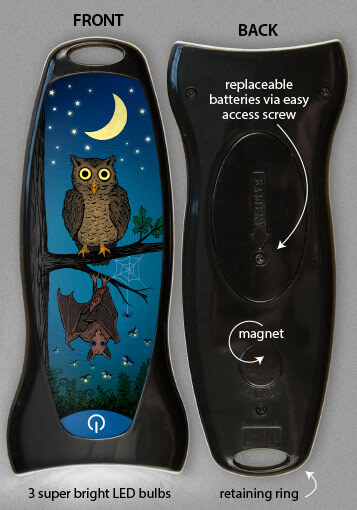 Browse our pre-printed stock designs for quantities as low as one, or place a custom imprinted or bulk order for higher quantities or labels with your own imprint or background.